2. Click on "ADD BENEFICIARY", Enter all the beneficiary details like Remittance Option, Country, Bank, Branch City, Branch Name, Transfer Currency, Beneficiary Name, Beneficiary Account Number, Address, etc,. 1. As you already added "ENJAZ BENEFICIARY" in your Albilad net banking, Now you just login to your net banking, choose the enjaz beneficiary to whom you want to transfer money then enter the amount and choose currency. 2. 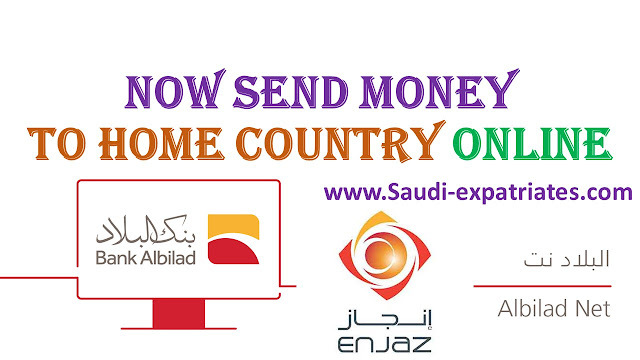 Charge or service fee for this transaction is 16 Saudi Riyal, It is same as you pay when you send through enjaz remittance center.